Hotels in Europe recorded a 0.7% year-on-year increase in profit per room in March, which was in spite of heavy declines in Non-Rooms Revenue, according to the latest worldwide poll of full-service hotels from HotStats. Amongst the falling Non-Rooms Revenues, hotels in Europe suffered year-on-year declines in Food & Beverage (-2.0%) and Conference & Banqueting (-7.1%) revenue, on a per available room basis. In contrast, a robust 2.7% increase in Rooms Revenues went someway to offsetting the decline in ancillary revenues. The RevPAR growth this month was fuelled by a 3.2% year-on-year increase in achieved average room rate, to €150.12, and was in spite of faltering room occupancy levels which fell by 0.3-percentage points, to 68.5%. The growth in achieved average room rate this month was supported by increases across all sector rates, including Residential Conference (+3.8%), Corporate (+4.8%) and the Group Leisure (+11.8%) segment. However, there was a notable decline in volume from the Commercial sectors, which cumulatively fell by 3.2-percentage points, to 39.4% of accommodated roomnights. As a result of the movement in all revenue departments, TrevPAR at hotels in Europe maintained its upward trajectory, but at a much slower rate than the previous two months, at just 1.1% year-on-year, to €159.40. This meant that TrevPAR growth for hotels in Europe was recorded at +3.1% for Q1 2018. Furthermore, and in contrast to January and February 2018, profit levels were hit by rising costs, which included a 0.6-percentage point increase Payroll, to 35.2% of total revenue. Whilst hotels in Europe recorded an eleventh consecutive month of profit growth, the year-on-year increase this month was more measured, at just 0.7%, to €50.04. This was equivalent to a profit conversion of 31.4% of total revenue. Despite the much lower year-on-year increase in profit this month, at €37.37 per available room, GOPPAR levels for Q1 2018 were a hearty 6.8% above the same period in 2017. In line with the decline in Non-Rooms Revenues at hotels across Europe, properties in Rome recorded a significant decrease in Food & Beverage (-16.2%) and Conference & Banqueting (-23.1%) revenue on a per available room basis. This decline was further exacerbated by a considerable drop in Rooms Revenue at hotels in the Italian capital, which fell by 9.8% year-on-year, to €129.43. Although hotels in Rome recorded a 2.8% year-on-year increase in achieved average room rate in March, to €210.52, it was entirely wiped out by an 8.6-percentage point decrease in room occupancy, to 61.5%, as the city’s hoteliers wrestle with falling volume across all market segments. The decline this month continued the trend for Q1 2018, which has seen RevPAR at hotels in the Italian capital drop by 2.3% year-on-year due to a 5.8-percentage point decrease in room occupancy, to 54.5%. 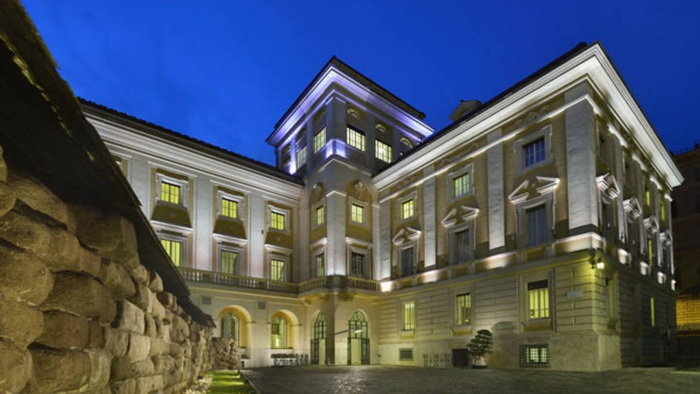 As a result of the movement across all revenue departments, TrevPAR at hotels in Rome fell by 12.1% in March, to €203.92. An 11.8-percentage point year-on-year increase in Payroll, to 49.2% of total revenue, heaped further pressure on to hoteliers in Rome and contributed to the 37.5% decline in GOPPAR in March, to €27.80. This is equivalent to a profit conversion of a lowly 13.6%. “Whilst hotels in Rome have never been the most profitable in Europe due to high labour costs, this has been a particularly poor start to the year, with profit conversion recorded at just 6% of total revenue in Q1 2018. And although the first three months of the year are traditionally the quietest for hotels in the Italian capital, all eyes will be on the performance next month, which could set alarm bells ringing for owner and operators if it is another month of decline in volume, particularly in the leisure segment,” said Pablo Alonso, CEO of HotStats. In line with the decline in profit per room at hotels in Rome, properties in Prague suffered a 0.5% year-on-year decline in March. Somewhat surprisingly, the drop in profit was on the back of a robust 3.9% increase in RevPAR, up to €67.62, as hotels in the Czech capital recorded a 2.6-percentage point increase in room occupancy, to 73.0%, as well as a 0.3% increase in achieved average room rate, to €92.66. Top line revenue at hotels in Prague this month was primarily driven by growth in the leisure sector, which included an increase in rate in the Individual Leisure (+11.6%) and Group Leisure (+13.6%) segments. However, hotels in Prague were also hit by falling Non-Rooms Revenues, which included a drop in Food & Beverage (-2.0%) and Conference & Banqueting (-8.2%) revenue on a per available room basis, which reduced the year-on-year growth in TrevPAR for the month to just +1.0%, to €113.08. And whilst Non-Rooms Revenues fell, operational costs for hotels in Prague increased, illustrated by the 1.8-percentage point increase in Payroll to 27.7% of total revenue, as well as a 0.4% increase in Overheads, which grew to 23.8% of total revenue. As a result, profit per room at hotels in Prague fell by 0.5% in March, to €42.18, and contributed to the 3.2% drop in GOPPAR for the Czech capital in Q1 2018, which is in spite of a 1.4% increase in RevPAR recorded in the first three months of the year.